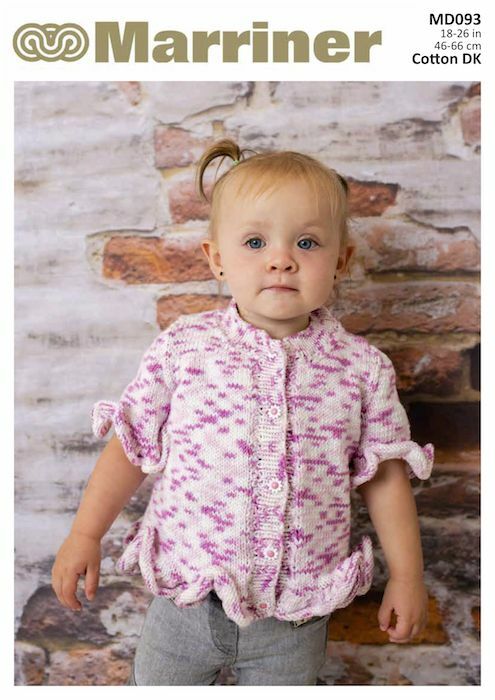 A child's cardigan knitting pattern in double knit featuring frilled edging. 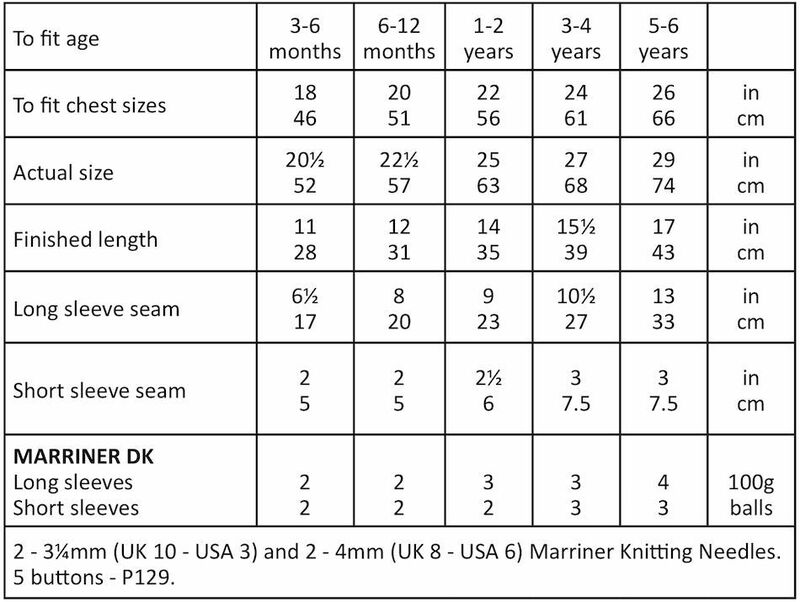 Hooks required 2 - 3¼mm (UK 10 - USA 3) and 2 - 4mm (UK 8 - USA 6) Knitting Needles. 5 buttons - P129.